The 10-day turnaround time starts from the date the apprentice is submitted for certification. You can view this int the days elapsed column on the Pending Certification page. 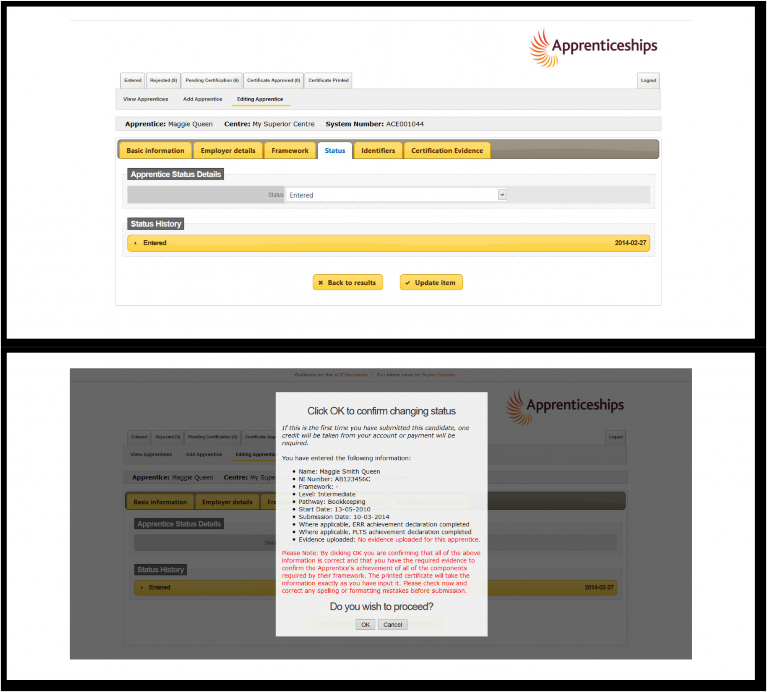 Once you have submitted the apprentice you will be unable to amend any of the information within the record unless the request is rejected. 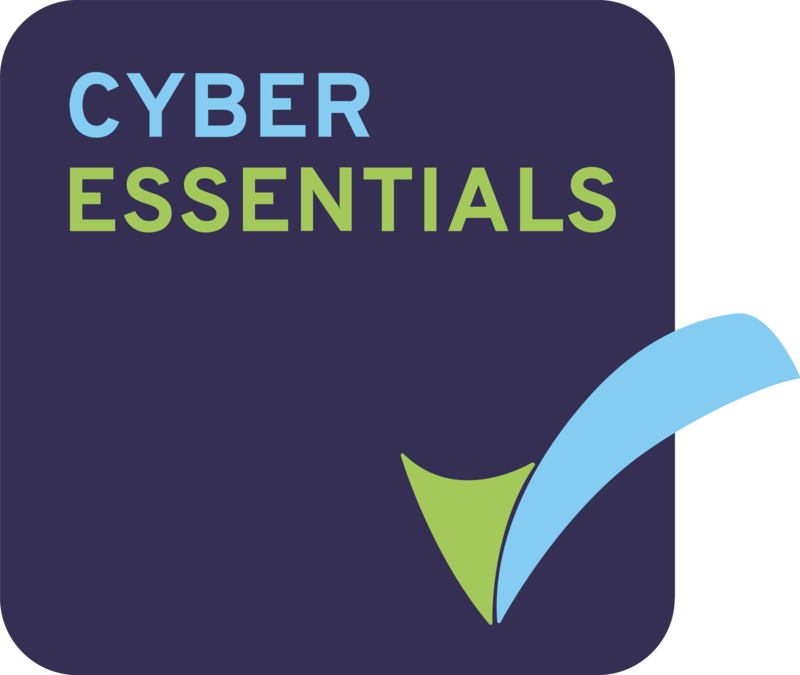 If you need to make any changes at another status you will need to contact the Certification Body. It may be that they will need to reject the claim in order for you to rectify any issues that you have noticed as we are no longer able to reset requests to the entered status. This means that the Certification Body is satisfied that all of the components within the Apprenticeship Certificate claim have been successfully completed by the apprentice. 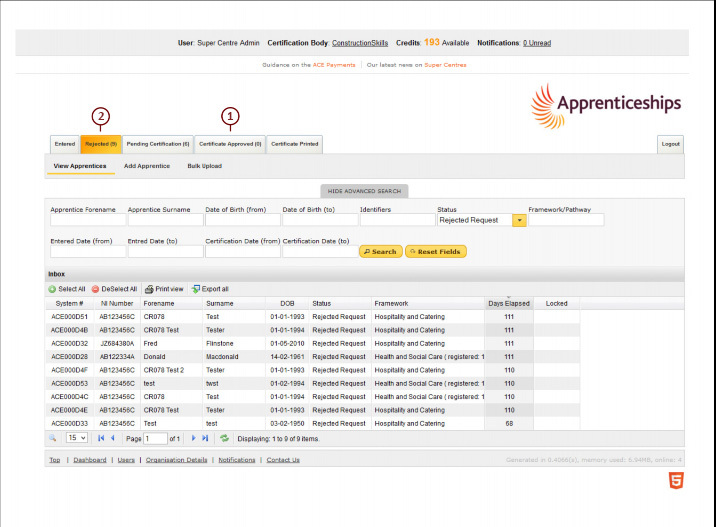 The certificate is now ready to print, once the certificate has been printed the apprentice record will be removed from this tab and the status will say certificate printed. This means that the Certification Body is not satisfied that all of the components within the Apprenticeship Certificate claim have been successfully completed by the apprentice. The reason for the rejection will be e-mailed to the main Centre Admin User and the person who submitted the submission. Refer to Manage Rejected Apprentices for further information. Please note it is important to keep email addresses up to date on the system so you don’t miss the notifications.